Home Design These Superheroes Shelves Are Perfect For The Home Of Any Geek! These Superheroes Shelves Are Perfect For The Home Of Any Geek! 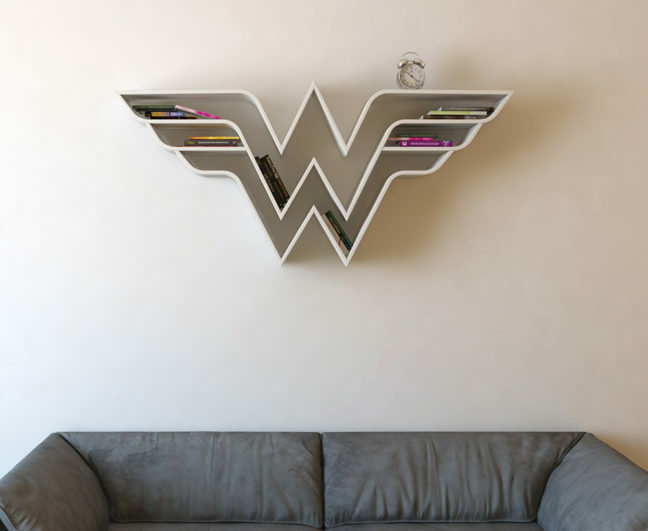 These bookshelves with superhero logos are simply sensational, and would be beautiful here on the wall, if it wasn’t a single detail: they unfortunately are still prototypes and no bookshelves, but nothing’s perfect, isn’t it? The creation is from the designer Burak Doğan in Istanbul, Turkey, which provides a beautiful homage to Superman, wonder woman, Captain America and the Agents of S.H.I.E.L.D. At least are very viable, though not very practical, because you can’t keep all these books as well. All we can do now is hoping for the designer start to produce and sell soon! See below the shelves of Captain America and S.H.I.E.L.D.